Guido, 13th Dec 2015. It takes about 9 weeks to flower. Good luck ! 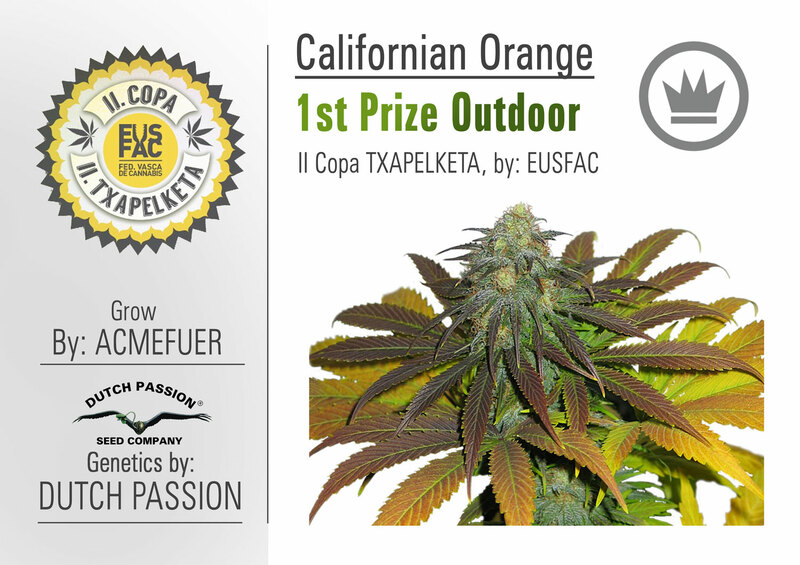 Dutch Passion Californian Orange is a great classic variety, alongside some of the other west coast originals. This one is a strong grass that has aromas of orange peel. It is a balanced high, 50% Sativa and 50% indica means it suits me perfectly. Yield is very good, one of the better ones I have grown. But really you should be growing this for the classic flavours and quality high. Very nice !